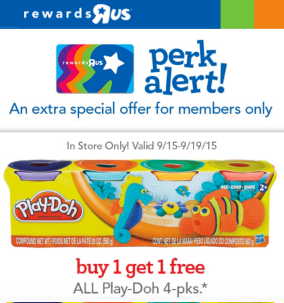 Expired: Toys R Us – BOGO Play-Doh 4 Packs! 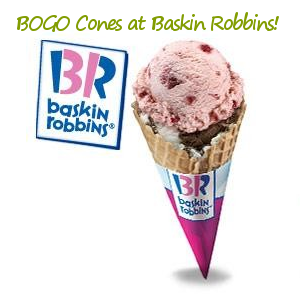 Expired: BOGO Cones at Baskin Robbins! 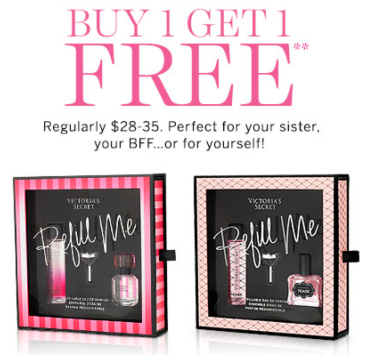 Expired: BOGO VS Fragrance Gifts – In Stores Only! 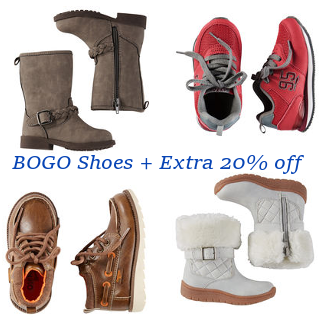 BOGO Shoes + Up to 20% off + Free Shipping Offer! Crazy 8- BOGO $0.08 Kid’s Playclothes! 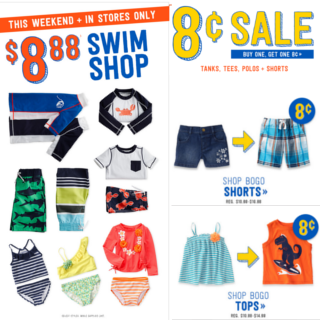 Plus $8.88 Swimwear In-store!